While playing in the ocean near a tropical resort, Pikachu & Co. get in a scuffle with Team Rocket's Pokémon. 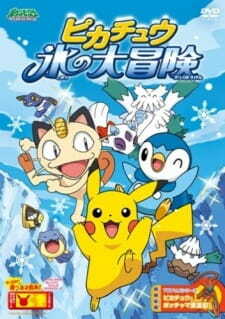 This scuffle causes the Pokémon to wind up miles away in an Ice-covered Paradise. However, when they get there, they are seperated soon find that certain Pokémon in the area require their assistance. Will they be able to reunite with their friends and help these Pokémon out?